The R 230 Projectile contains 250 meters of 3,2mm Nylon line. 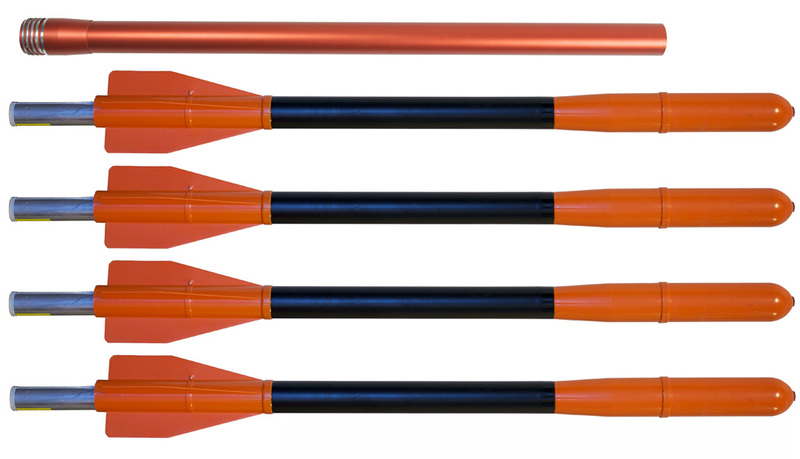 The set consists of 4 R230 Projectiles and one Launching Tube. By adding the PLT® SOLAS Upgrade to an existing PLT® Launching Unit, the complete set meets the IMO SOLAS 74/96 Regulations. With a dry and clean line, it reaches minimum 230 meters. The line floats and has a breaking strength of 2000N (204kg).